Not sure if you’d better send balloons or flowers? Why not sending both! 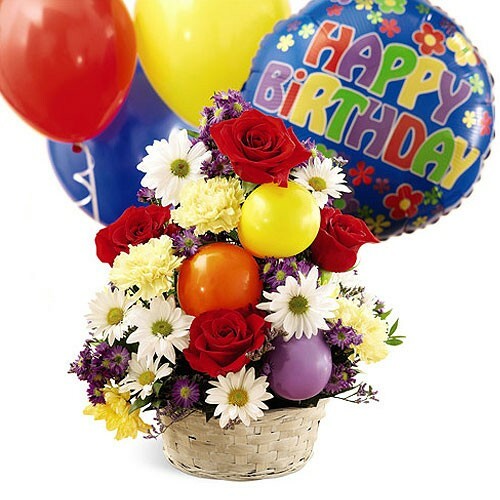 This Birthday Cheer basket holds colorful flowers with a stunning bouquet of balloons. Three latex balloons and a mylar balloon float on top of the Birthday Cheer basket. Send birthday balloons to make someone's day very special and memorable. When you send this spectacular flowers and balloons arrangement, it's a great gesture to show your special recipient how much you care.